Librarians discovered a horrible thing nearly 100 years ago--writers were running out of ideas. It was a crisis that everyone overlooked--everyone, that is, except librarians, who feared their jobs would be lost if they didn't find a way to continue to supply their libraries with books. Luckily for librarians, an invention came along that revolutionized the way books were written: the Library Tree--a tree that grows new books. As great as these trees were, librarians, being intelligent people, knew they had to keep them a secret; if everyone knew about the tree, after all, then they would get their books from trees and not libraries. So for nearly 100 years they had kept their secret--until the day that Jake Maas, a boy librarians loved to secretly mock, discovered the secret. The first thing you should know is librarians will deny this--all of this--the entire account. And why shouldn't they? 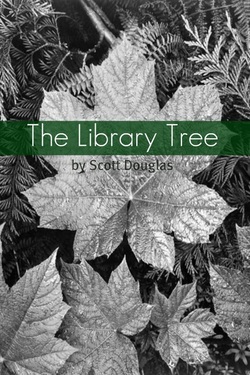 If what I say is true, which they will all surely say it's not, then everyone will want a library tree--there wouldn't be any need for libraries at all. And if there weren't a need for libraries, then who would need librarians? Does all that make sense? Yeah? Okay. Now the second thing you need to know is why I'm telling you this...settle down would you? I'm going to tell you about the Library Tree in a second--actually, in a paragraph, but you'd better not skip to the next paragraph to find out. Okay? Okay. Now as I was saying...the second thing you need to know is why I'm telling this to you. It's not for the money. Yes I did get a lot of money for telling it, and yes I bought a new car (17 new cars actually, but only one of them flies), and yes, I bought every video game ever made, and also a movie theater screen to play the games on--but it wasn't about the money...okay so it was kind of about the money...fine it was mostly about the money. But it was also because people have a right to know the truth. I was as clueless as the next guy about the tree until I became a librarian myself. And believe me, when I found out, I was shocked. On my first day as a librarian, they pulled me to the back of the library and said, "There's something about the books in this library--all libraries actually--that you need to know, but before we tell you, you must swear you'll never repeat it to anyone...ever." So I swore--and I swear that I meant what I swore until I was offered that hefty sum of money, which in turn convinced me that people had a right to know this tale. There are several things you need to know about the tree, and a few things you might actually want to know, but I'm not going to blurt them all out here--for goodness sakes, I haven't even got through with chapter one yet. I have to leave some of it for the other chapters. Here's what I'm going to tell you: the Library Tree grows books. Many years ago, libraries had a dilemma--there just weren't enough good stories. Writers had run out of ideas and it was rare for libraries to get new books. Librarians were almost certain the lack of books would ultimately force them to close. Then one day they discovered a way to grow new books. It was cheap, reliable, and certain to never run out of books--as long as it was watered, groomed, and properly cared for. Are you interested? Intrigued? Perhaps shocked? And it's all true. Go ahead and ask any librarian and see how nervous they get as they deny it. As you can imagine, librarians hate me for hashing out this secret of theirs, and it's on this note that I'll end chapter one. But you'll definitely want to stick around for chapter two because you haven't even heard about the monsters that grow the trees (who may or may not be evil and have armpits that stink of sweat), or of the one-legged, two footed, 2 feet tall, Siberian ninjas who guard the trees, or even about Jake--the wimpy little boy who discovered it all.